Begin with your right knee bent on the ground and left leg extended out. 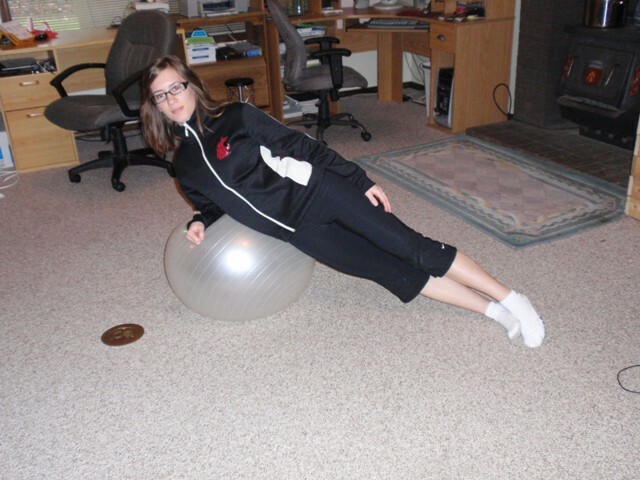 Your right forearm will be resting on the stability ball. Your body should be in a straight line from head to toe. Pull your right leg up straight next to your left leg. 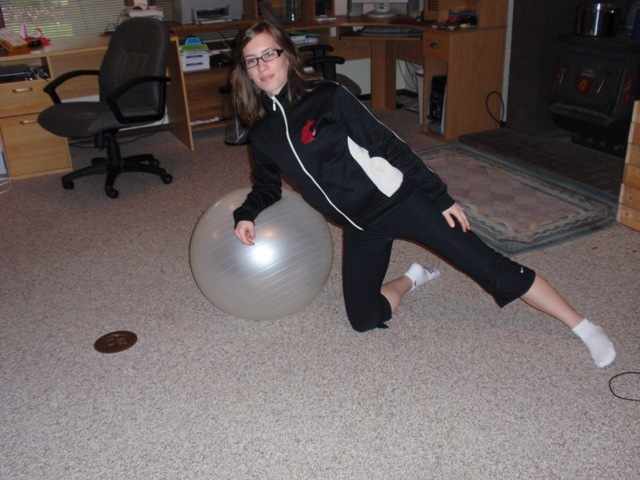 Hold your core while balancing on the stability ball and your feet. Hold this on your right side for 30 seconds, then switch to your left side for 30 seconds. Rest for 45 seconds and repeat 2 more times on each side.